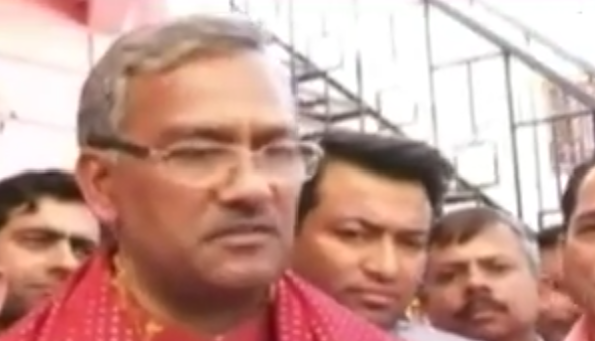 Dehradun: In Uttarakhand, where Assembly elections have just concluded and Bharatiya Janata Party has emerged the winner, Trivendra Singh Rawat was today elected as leader of the BJP leguslature party leader. Rawat, who has been an RSS pracharak, will take the oath of office and secrecy along with his council of ministers in Dehradun on Saturday. Prime Minister Narendra Modi, and BJP chief Amit Shah will be present at the ceremony. After his election, Rawat and state BJP unit president Ajay Bhatt , along with a few BJP MLAs met Governor K K Paul and staked claim to form the government.